In this third book in the My Weirder-est School series, A.J. and his friends learn about good oral hygiene. Grab your toothbrushes! 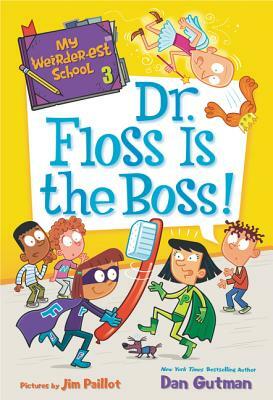 It’s National Dessert Day, and Ella Mentry School has asked local dentist Dr. Floss to educate A.J. and his friends on the dental dangers of sweets. But Dr. Floss has other plans. She wants the kids to eat as much sugar as possible so that they’ll need a dentist! Will someone get a cavity?